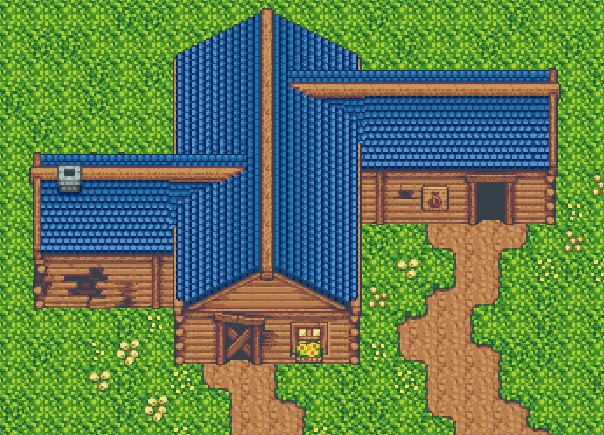 MAJOR UPDATE: New house tiles! - This update improves the houses and buildings that can be made with the Time Fantasy graphics. 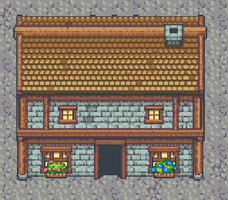 - In addition to being visually updated, they are vastly more flexible, allowing for a wider variety of houses to be crafted out of these tiles, including multiple stories and mix-and-match roof shapes. - There are three new object-layer tilesets: updated house bases, ruined house bases, and improved rooftops. - The rooftops come in 6 different colors. Also: Most of the tilesets have been re-organized to include some extra tiles and small improvements. 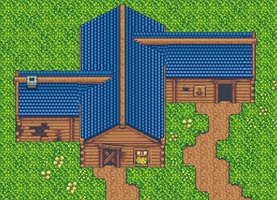 This includes the updated autotiles from the previous update, which were originally included as a separate sheet, but have now been incorporated into the main tilesets. Hello. It seems you've already included this version with the bundle or you didn't include the updated version at all with this purchase. The original and updated version (TILES_6.24.17) are the same. Could you please look into this because I feel as I just paid 15 dollars for exactly two same files. Thank You. Oh OKay! My mistake then. I have gotten the refund. Thank You. I'm not sure what the problem is. The current version should be the updated one and it's replaced the old version, and it is included in the bundle. The update isn't a separate purchase. If you bought it by mistake in duplicate, send an email to support at itch.io and they can handle the refund since they deal with the purchasing end of things. I just noticed the tileC_inside.png is in the vx ace folder but not in the RMMV folder. Hello! Will this update also come to steam or is it only for those that buy it here? Should eventually come to the Steam and RPGmaker releases-- the RPGmaker publishers schedule that one but they have the update! Thanks!